Eight years ago Americans decided to take a chance on a “community organizer” without one single discernable accomplishment, not even authorship of his own book! (Thank you, Jack Cashill!) Obama was president of the Harvard Law Review – and never wrote a single editorial. And we elected and re-elected him. And now we’re taking the measure of a billionaire 11 times over who’s boldly carved his signature in stone and steel and golf-course green around the world, written best-selling books and produced and starred in dazzlingly high-rated TV shows, and you’re trying to tell me this world-class accomplishmentarian is a summertime thing set to evaporate with the first fall chill? In a pig’s eye! Even his worst enemies agree that Donald Trump gets things done. Meanwhile, your community organizer is now a political kidney stone that will take 17 more months to pass. You don’t like Trump’s rhetoric, maybe? What’s wrong with “I love this country and I want to make it great again”? You really think this man is presidential? He’s not my first or second choice. I’d prefer Cruz but I’ll vote for Trump if he wins the primary. Huckabee would be my second choice but he doesn’t stand a chance. I’m not on Twitter. I know Trump isn’t politically correct and admits he isn’t. But I know Obama isn’t presidential and don’t think Clinton or Sander’s is either. Of course those with a different political philosophy would disagree. 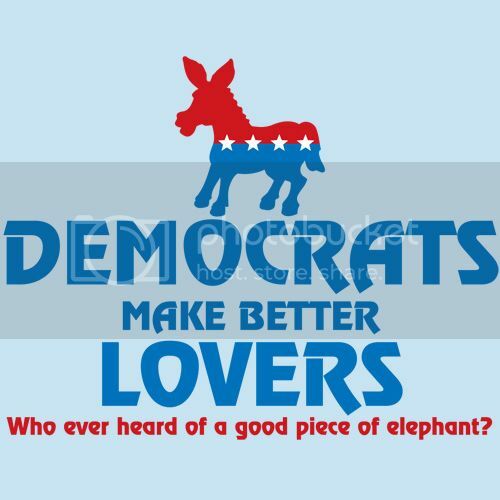 The RNC has pushed Bush and I blasted them for pushing RINOS. We won’t know where the primaries stand until mid March. Florida is a must-win primary state and Trump is +4 against Jeb – a former Florida governor. And even after all the talk from Fox News and others about Rubio winning the debate, he’s a full -10 points below The Donald and tied with Ben Carson. Need it even be mentioned that Rubio is currently a sitting Florida Senator? Trump also beats Hillary Clinton in a general election match-up, 43% to 41%. Trump for President! Anyone who can piss of the liberal whiners has my support. Actually... the liberal "whiners" are mocking him, and hoping that he gets the nomination or (even better) that he runs as an independent if not nominated. Trump might wind up as the Republican nominee (though I doubt it) but he's hardly original. After all, having someone aspiring to national leadership who boasts about their country's natural superiority, wants to establish supremacy by building up the military, believes that occupying other countries and seizing their assets is in the national interest, and lays blame on a politically defenseless minority for the country's economic woes and would seek to round them up and deport them is not without historical precedent. Well since you say the liberal whiners are mocking him makes me want to support him even more. 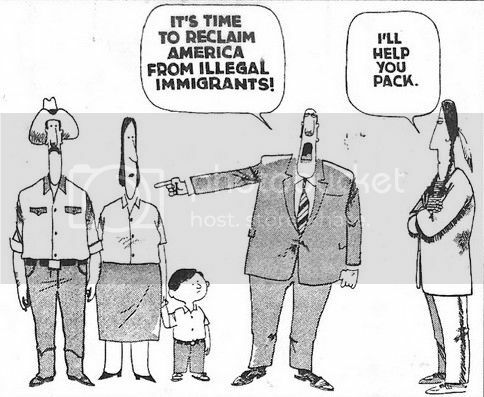 Round them up and deport them all. I see Harley's back in full goofus mode, again. Trump is right on illegal aliens. For every illegal migrant household that leaves the United States under Trump’s plan, Americans would recoup nearly three-quarters of a million dollars ($719,350), according to 2010 data collected by Heritage scholar Robert Rector. Trump has alienated pretty much every demographic except middle aged and elderly white men... a demographic that is shrinking. Everyone else he has insulted and ridiculed. How do you think he even has a prayer of a chance of being elected? I've been watching and listening to Trump since he declared his candidacy. I have yet to hear any specific plan or even the broad outlines of how he would accomplish deportation of 11,000,000+ people without running roughshod over the rights of millions of other people who are either citizens or are in this country legally. And keep in mind that the majority of those 11,000,000+ are part of our economy, shopping in our stores, paying sales taxes (which are an important part of government budgets below the Federal level), and in many cases paying Federal and state income taxes as well as FICA taxes. Currently people are entitled to a hearing before deportation, and the process can take some time without even considering a backlog of 11,000,000 cases. Without hearings, how can one be sure that an individual doesn't have a right to remain here? In short, Trump's "Plan" sounds like a lot of bluster, much like his talk of taking over the oil fields in Iraq. Gee... You don't mean THIS Robert Rector, do you??? "I’m not an economist (and neither is Robert Rector, the principal author of the new report), but I’ve discussed the analysis with six economists, some of them specialists in immigration policy, four of them staunch conservatives. Their consensus is that the report issued last week is not an objective quest for enlightenment, but 100 pages in service of a boldface headline. (SIX POINT THREE TRILLION DOLLARS!) It systematically overestimates the percentage of undocumented immigrants who will get citizenship, and exaggerates the likelihood that they will end up as wards of the welfare state. It underestimates the contribution these immigrants and their children will make to the country’s wealth if they are allowed out of the shadows to work and study and open businesses without fear. It plays down the reality that these immigrants already cost taxpayers many millions. And it assumes that for the duration of this supposed pig-out at the federal trough — 50 years is Rector’s time frame — nothing much changes in government policy. Rector points out that if you look closely, right there on page 33, he acknowledges a few factors that could bring down the cost of amnesty. This comes right after his longer list of factors that could make the costs even higher — which he told me is what he really believes. But none of these caveats changes the headline. SIX POINT THREE TRILLION etc. I believe Rector is sincere in his conviction that amnesty will put a crushing burden on taxpayers. But I suspect that like many profoundly convinced people he sees what he wants to see. This is the same researcher who, according to my colleague Jason DeParle, once published a report claiming tens of thousands of poor people had Jacuzzis and swimming pools — extrapolating from a government survey that had found four. Before you laugh, you should know that Rector’s views on the deadbeat poor had considerable influence on the shape of Bill Clinton’s welfare reform, and that his earlier version of the costs-of-amnesty study helped kill immigration reform last time around. He is an ideological force in Washington. But Rector’s inflated numbers are not the worst thing about the Heritage report. His basic point, that integrating a large population of mostly poor people into the aboveground American economy will be expensive for at least a generation or two, is right, even if the costs will not be as shocking as he claims. The fundamental flaw is framing the immigration debate as essentially about the federal deficit. In fact, the case for immigration reform — and in particular the case for amnesty — is about rationalizing an inhumane and counterproductive system; about putting families that are now stunted by their illegal status on a path, not just to citizenship but to taxpaying productivity; about assimilation and mobility, innovation and entrepreneurship and, ultimately, about economic growth. Heritage is not just offering the wrong answer; it’s obsessing on the wrong question." Sure, I will take deportation to someplace warm. Generated in 0.019 seconds in which 0.012 seconds were spent on a total of 14 queries. Zlib compression disabled.